I have a complaint. The pot pie at one of my favorite restaurants doesn’t taste like a pot roast. I keep complaining, but nothing changes. I am thinking I may need to find a new restaurant because their cooking skills are just not living up to my expectations. Or maybe I need to adjust my expectations. How can I expect a pot pie—a savory pastry with a mixture of potatoes, vegetables, and beef chunks—to taste like a beef pot roast? Even though beef is an ingredient in a pot pie, no reasonable diner would expect the two meals to taste the same. But that same reasonable diner might be perfectly comfortable expecting that their diversified investment portfolio should produce the same return as US stocks. This is just as unrealistic as it is to expect pot pie and pot roast to produce the same taste. 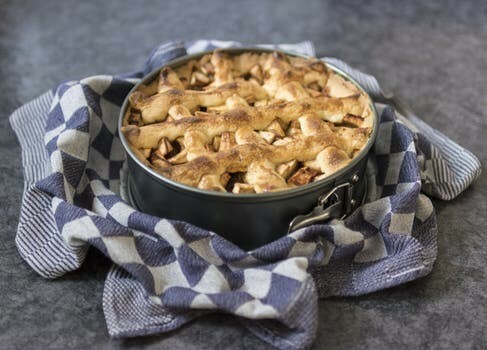 A diversified portfolio has a variety of investments in it, just as a pot pie has a variety of ingredients in it. A pot pie provides a complete meal with a nice balance of grain, veggies, and protein with a tasty blend of spices. A pot roast provides just one component of a balanced meal, a heavy dose of protein. Likewise, a diversified portfolio is a meal in itself. A particular recipe that I like has the equivalent of a flour crust made of high quality bonds, high yield bonds, and Treasury Inflation Protected Securities. Stuffed inside is a delicious blend of real estate investment trusts, international stocks, US stocks, emerging market stocks, commodities, all flavored with managed futures, a long/short fund, and a put/write investment strategy. The flavor of the diversified portfolio is completely different from an investment of just US stocks. Yet investors regularly try to compare the two. A few months ago, a reader wanted to know why her small account with a well-known brokerage house was doing three times better than her IRA managed by a fee-only advisor. She was thinking she should put all her IRA money with the brokerage firm. Following up revealed the ingredients in her IRA: 30% was in a global mix of 1,100 high quality bonds, 300 high yield bonds, and 20 TIPS. The remaining 70% was in a global mix of 12,000 US, international and emerging market companies of all sizes, 300 real estate investment trusts, 21 commodities, a long/short fund with hundreds of positions, and a smattering of other investment strategies. The small brokerage account had just one ingredient: 31 large US stocks. Over the previous 15 months, the globally diversified portfolio had returned 9% and the 31 US stocks had returned 21%. Of course, the US stocks in her diversified portfolio had also returned 21%, but just like the chunks of beef in a pot pie, they only made up part of the mix, in this case 17%. So, comparing the diversified pot pie of her IRA return to the single-ingredient pot roast of her brokerage account was not valid. Over the past nine years nothing has done better among major asset classes than US stocks. Any diversified portfolio will have underperformed them. That phenomenon will inevitably end. The time will come, sooner or later, when US stocks will be one of the worst performers of the decade. Just as a diversified portfolio will often garner smaller returns when US stocks rise, it will also have substantially higher returns when US stocks crash. At that time, those with diversified portfolios will be thankful that they stayed the course. And millions of other investors will be wishing they had ordered pot pie instead of pot roast.